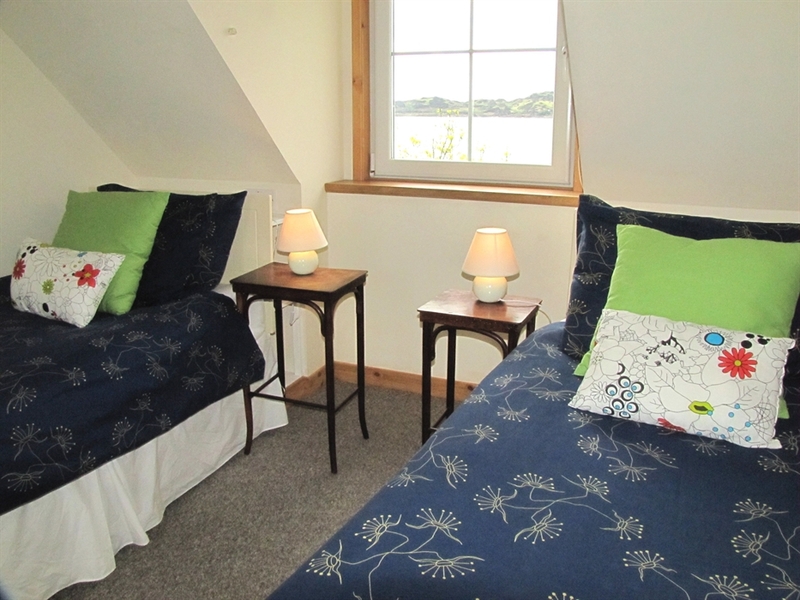 The Gorsten Bed and Breakfast is sited in a lovely house on the west shore of the tiny Island of Luing, in the Inner Hebrides. Every room has amazing views to a sea full of islands. 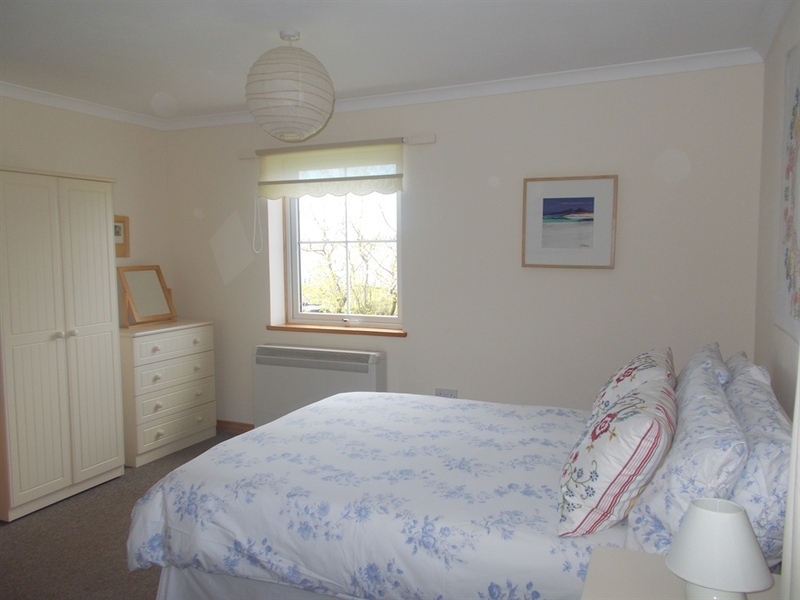 Click 'Book Now' for book & pay on Airbnb, or just email me to book. The Gorsten is sited beside the former pier, with its historic waiting-room and old shop building, where the puffers (coastal steam boats) used to bring all the supplies to the island. There is good public transport to Luing Ferry, and the 3-minute car ferry has frequent runs from North Cuan, Seil to Luing. Of all the Scottish islands, Luing has the shortest car ferry crossing from the mainland. 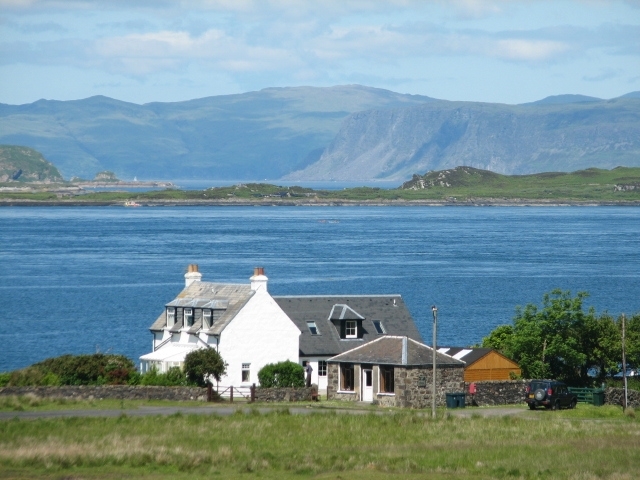 So if you don’t have much time, but want to sample the tranquillity and friendliness of a beautiful and historic island, come to Luing, with its stunning views! 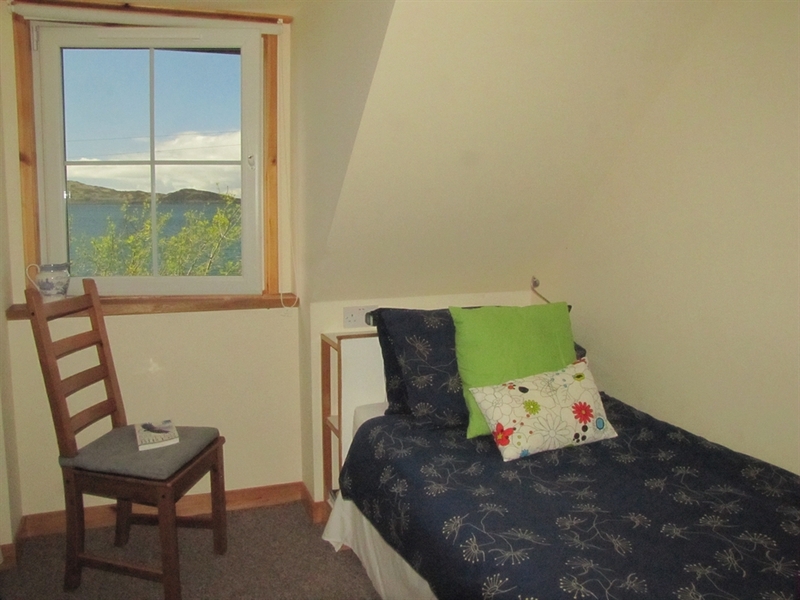 You can look out at the seashore from all the bedrooms and watch fishing boats and yachts passing by, or even dolphins or an otter, if you're lucky. The house is a traditional building but modern and bright inside. The decor is uncluttered and calm. The house has maximum insulation, and you can easily adjust the heating in your room to make sure you are cosy and warm. It is a very peaceful location. If you want to explore the rest of the island, you will enjoy walks along the seashore, or cycle rides along the the scenic farm tracks. These tracks run above the cliffs on the west and east sides of the island (with vistas of the islands out to sea or views of the mountains and sea-lochs on the other side). You can wander round the historic and picturesque slate villages, or mount an expedition to see one of the two-thousand year old iron-age hill-forts (there are five of them!) or the old water-mill. Check the noticeboard in the Luing ferry shed to see what activities are taking place during your stay: maybe a ceilidh, afternoon tea, craft fair, history exhibition etc. We have guidebooks if you need help identifying the wild flowers, birds and occasional seals, dolphins, porpoises and otters. We also have maps and a booklet showing the walks you can do. There are Geocaches on Luing, for those of you who have signed up! Top up with fuel for the car, and cash (for the ferry, for my payments and maybe for the shop), before you leave Oban. Meals: A cooked breakfast is included in the price; let me know in advance if you would like an evening meal (£11 for two courses). The Luing Shop has a wide range of groceries and souvenirs. It is licensed, and offers home-made sandwiches and fresh coffee. They take orders on 01852 314243.